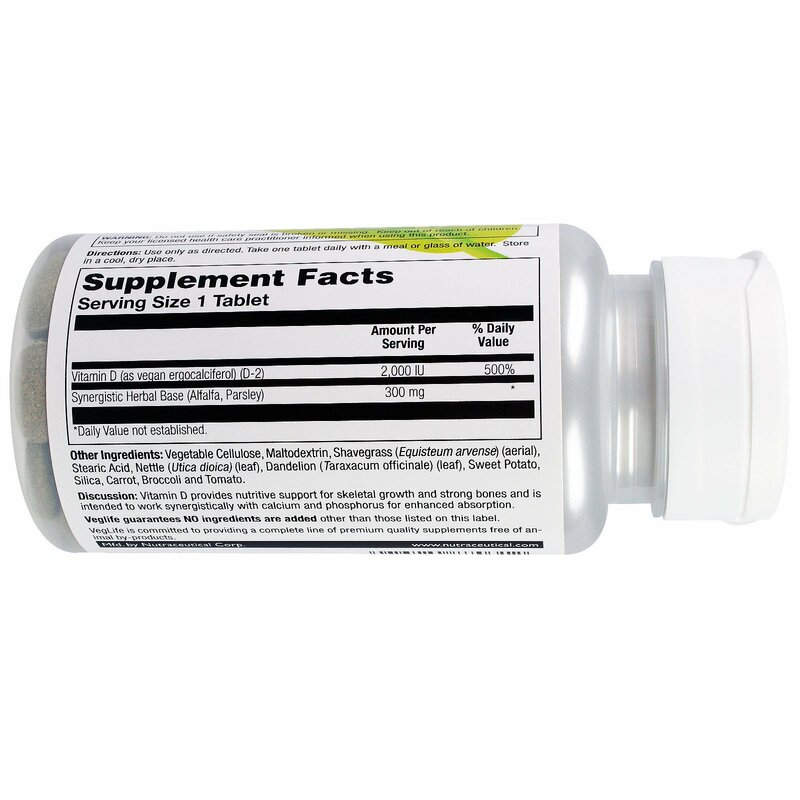 Vitamin D provides nutritive support of skeletal growth and strong bones and is intended to work synergistically with calcium and phosphorus for enhanced absorption. Vegetable cellulose, maltodextrin, shavegrass (equisteum arvense) (aerial), stearic acid, nettle (utica dioica) (leaf), dandelion) (taraxacum officinale) (leaf), sweet potato, silica, carrot, broccoli and tomato. Veglife guarantees no ingredients are added other than those listed on this label. 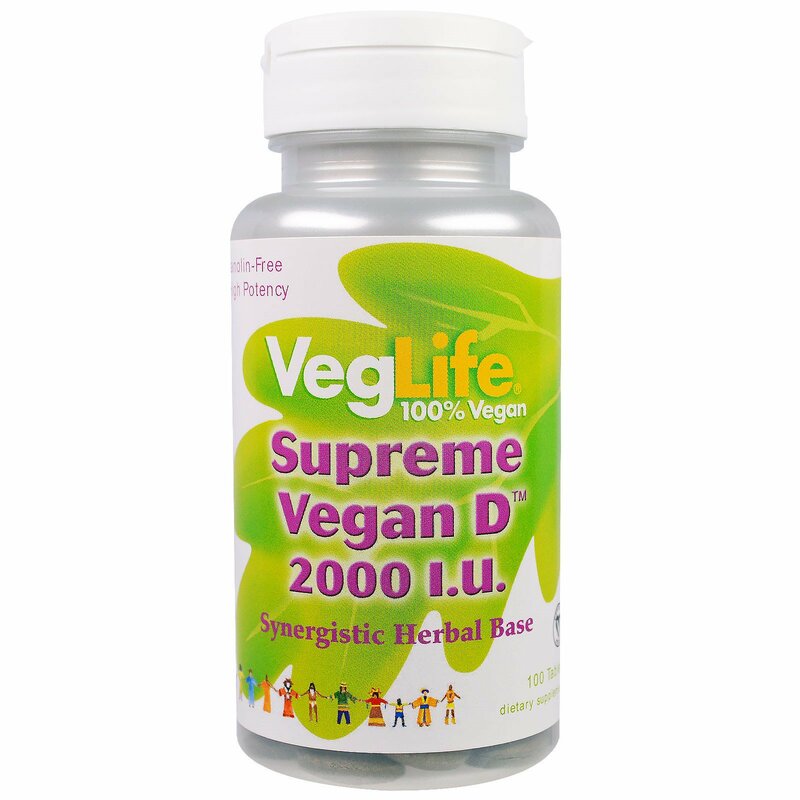 Veglife committed to providing a complete line of premium quality supplements free of animal by-products.